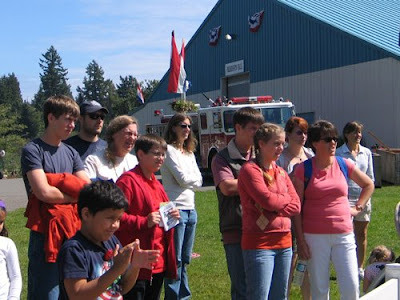 Going to the fair with Aunt Kay (standing behind Thomas) was a lot of fun. We are watching an event called the tractor pull. 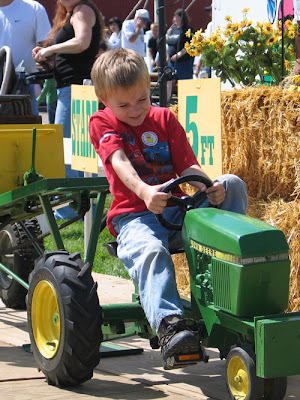 (see the picture below) This tractor pull is for children driving peddle tractors. These kids really gave it their best shot and the crowd enjoyed watching them do it. 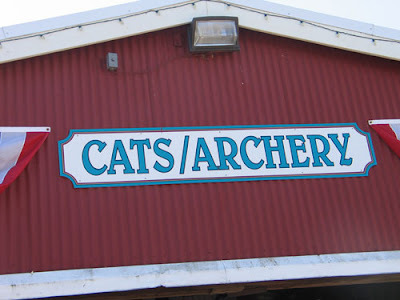 As we wandered the Kitsap County fair grounds we saw lots of interesting displays. All the displays were organized into groups. We thought the exhibit in the picture below would be very interesting, but it turned out to be much tamer that the name suggests. 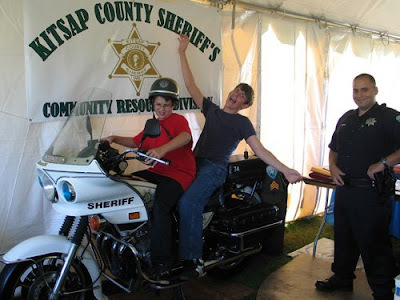 Thomas and James enjoying the Sheriff's exhibit. 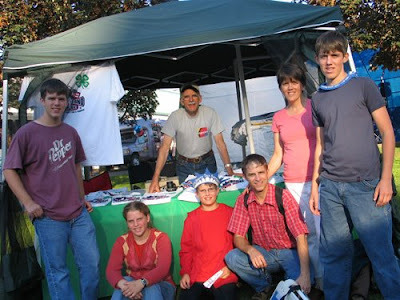 Our family with Uncle Harry who was holding down the 4-H booth.